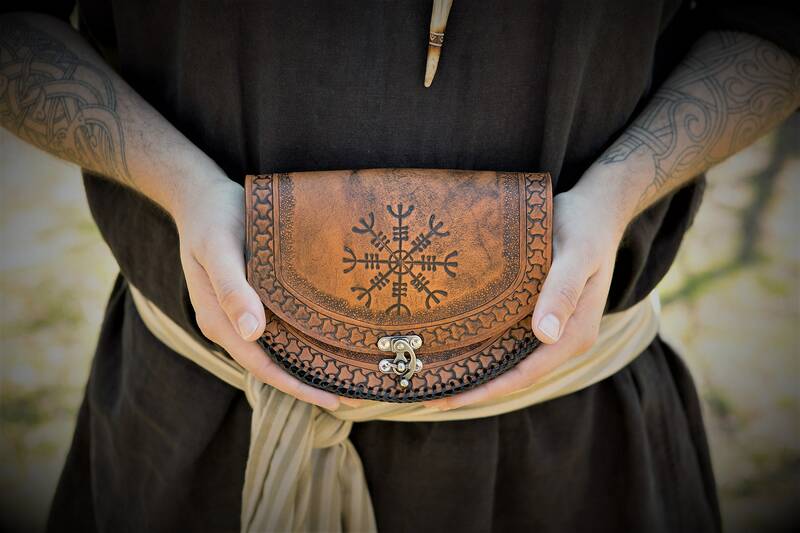 This product was inspired by celtic and viking culture and designed to fit all your necessary items for day-to-day or festival wear. 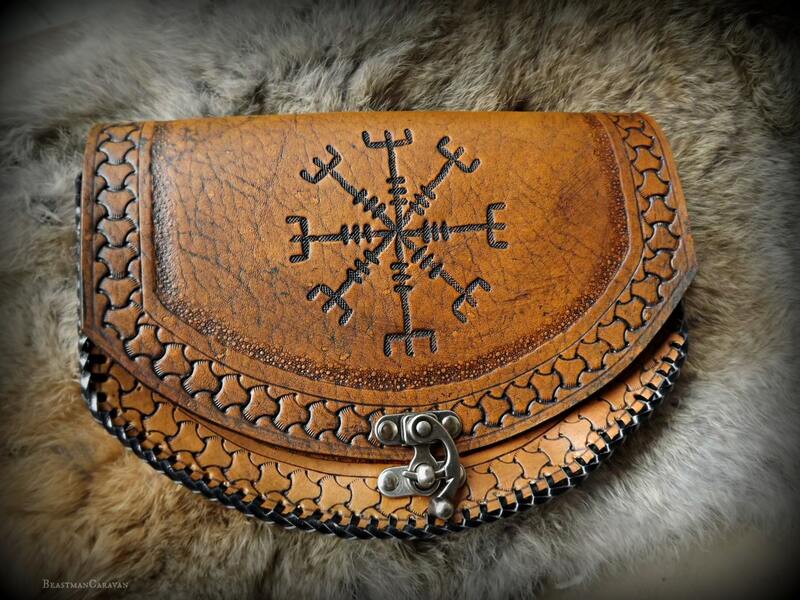 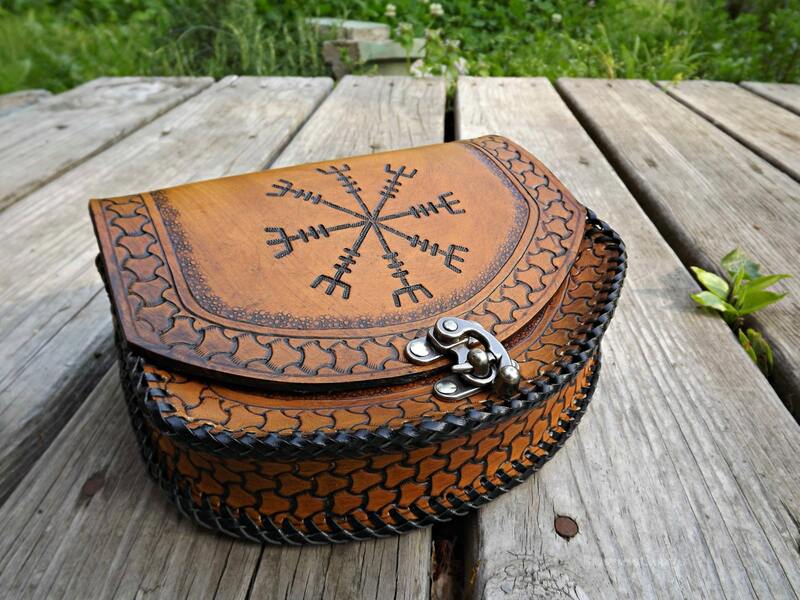 This particular pouch features a hand-carved Helm of Awe design. 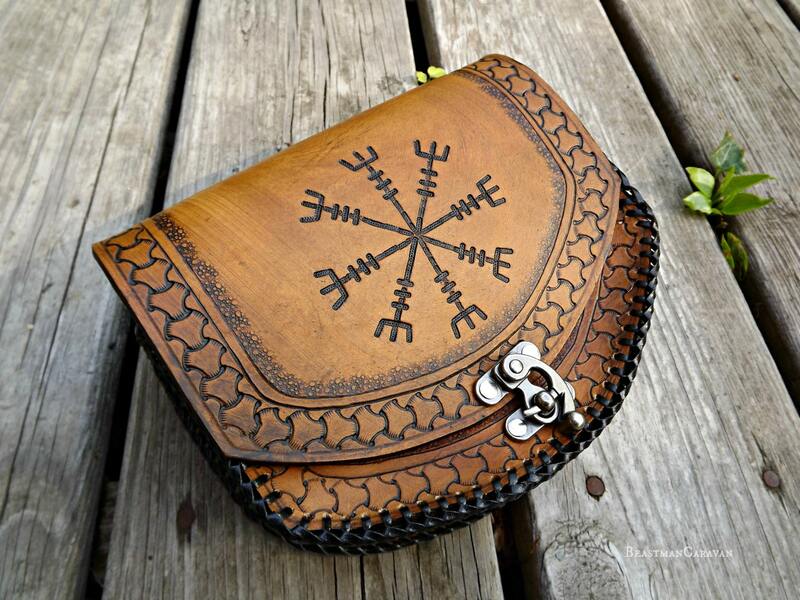 The pouch is approximately 8 inches wide, 6 inches tall, and 1.5 inches deep.